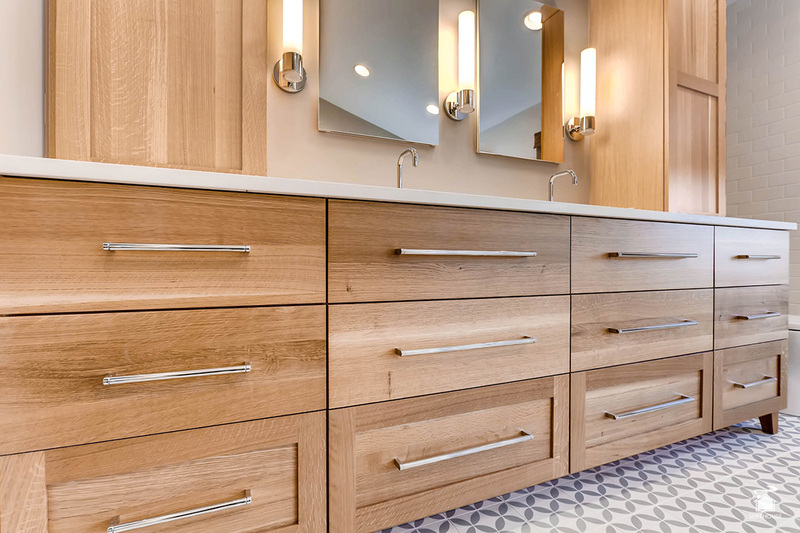 A more contemporary look was what this particular client was seeking when they tasked Smithouse with updating the foyer and master bath. 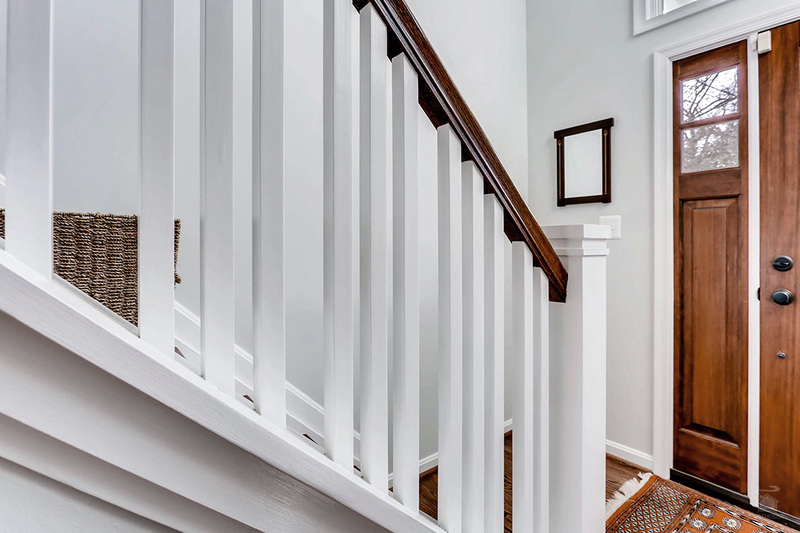 In the front hall, we removed the older, more traditional, ornamental rounded spindles and replaced them with a craftsman style banister. 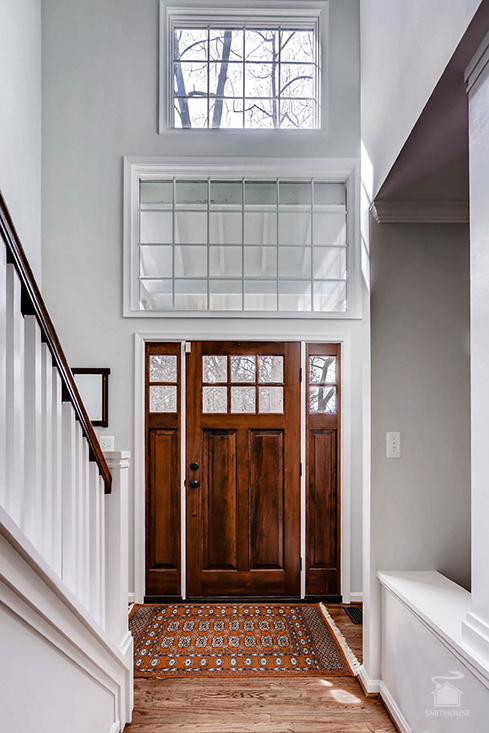 This new woodwork created a more transitional look – giving the perception of clean lines within this mid-1990’s home. 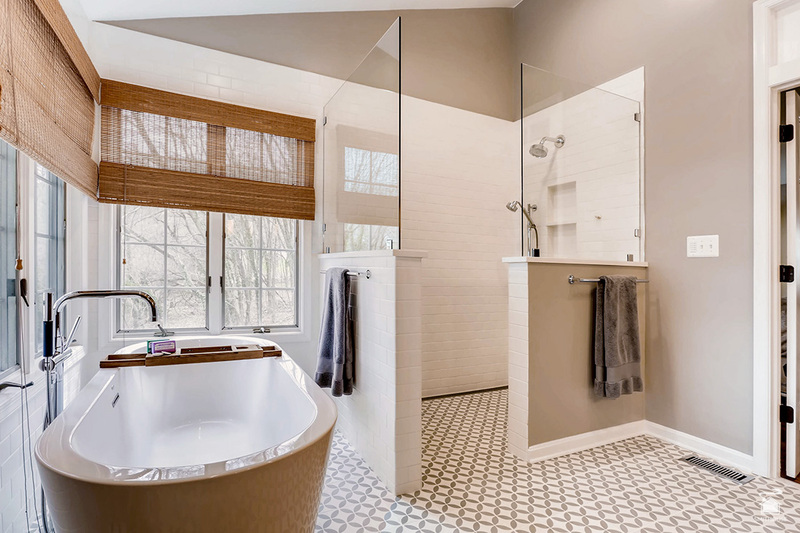 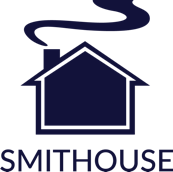 Smithouse carried this more transitional design style through to the master bathroom where we opened up the floor plan. 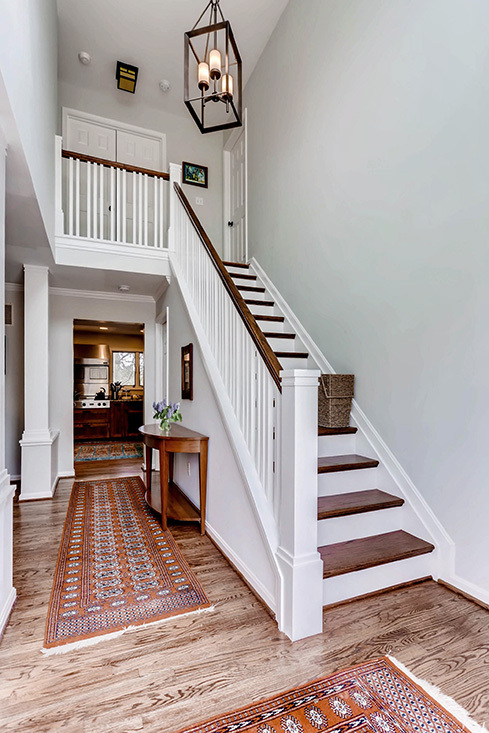 What was once a compact, compartmentalized space was converted into a wide open, almost two stories high, room. 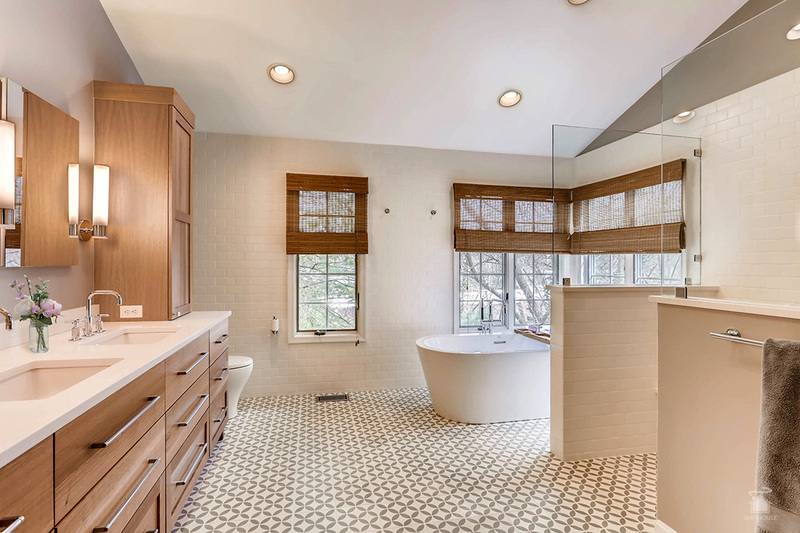 Providing openness was a priority for the client and we did that by lifting up the ceiling and then creating a walk in shower with a smooth, level entry (no need to step into a shower) and having no shower door. 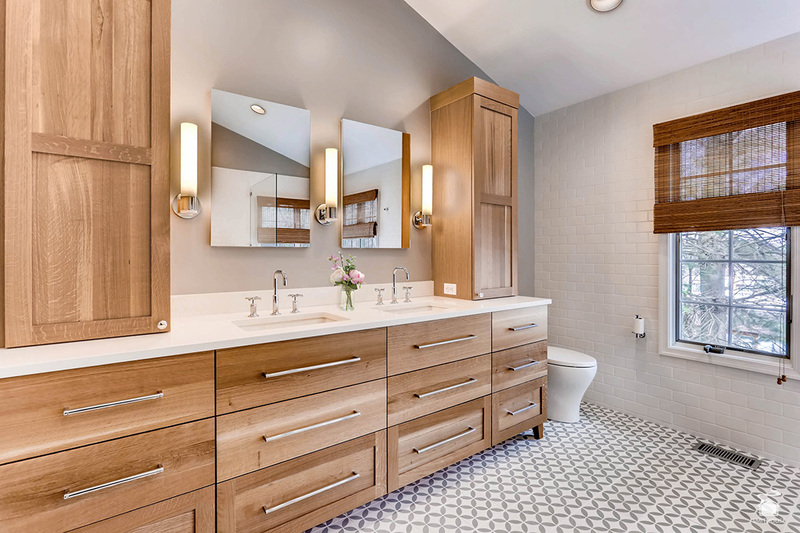 New bathroom cabinetry paired with wide hardware and horizontally oriented subway tile finished off the look.